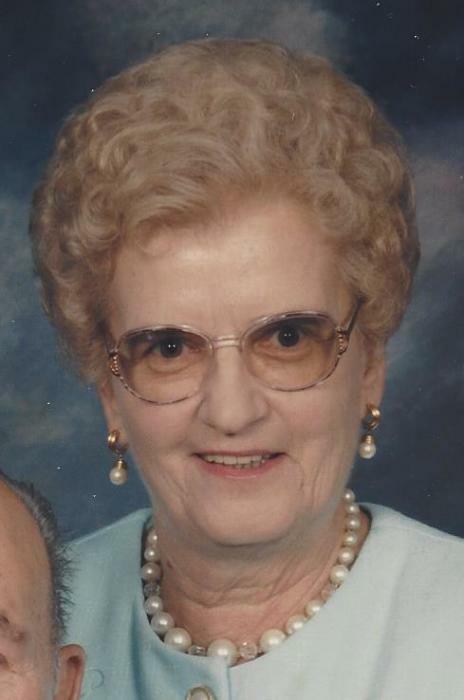 Stella M. Riffle, 93, passed away November 29, 2018. She was born in Grapeville, PA on October 3, 1925 to the late Arthur and Stella (Engle) Welser and lived in Akron most of her life. She retired from Goodyear and also worked at PoGo as a teenager and later, J.C. Penney. She was a member of the Goodyear Local 2 Retirees Club and enjoyed crocheting, fishing, roller skate dancing and traveling. Stella also enjoyed living in Florida for several years and her dogs, Sparky (who she would go camping with) and Mitzi. In addition to her parents, she was preceded in death by her husband, Ona "Grey"; brothers, Arthur and Richard Welser; and sister, Ilene Allen. She is survived by her son, Dana "Bill" (Laurie); sisters-in-law, Ginny Riffle and Joy (Don) Keener; and several nieces, nephews and friends. The family gives special thanks to Harbor Light Hospice, especially Erin and her group, for their loving care, and to the staff of Altercare of Hartville. Also to Dr. Mark Smith and his staff for their 9 years caring for Stella and an extra special thanks to her friend and therapist, Steve. The funeral service will be on Monday, December 3, 2018 at 1 p.m. at the Eckard Baldwin Funeral Home and Chapel, 760 E. Market St., with Pastor Robert Rasmussen officiating. Calling hours will be at the funeral home for one hour prior to the service, from 12 noon - 1 pm, with burial at Hillside Memorial Park.